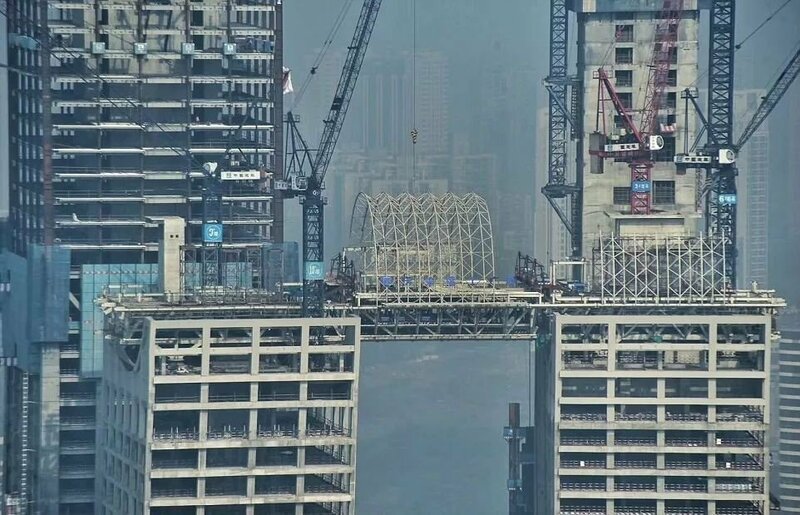 Recently, a horizontal skyscraper in Chongqing has attracted the most attention of a large crowd of foreign media. It is successfully billed as a true masterpiece of megastructure in the field of architecture and planning. 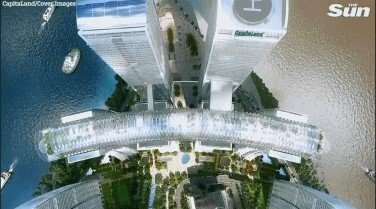 The tower-spanning design revealed in the aerial view featured the hyperrealism in architectural visualization. The Daily Express (Express) even said in the news headline that the transverse skyscraper was “epic” and called it “an engineering marvel” in the article. Now let’s behold this amazing architectural spectacle. 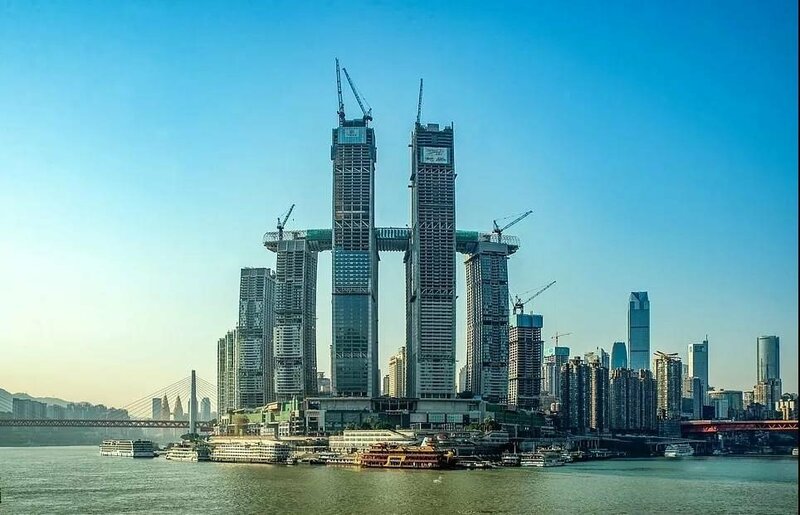 This horizontal skyscraper, covering a space of 1.12-million-square-meters, is located at the Lai Fushi Square junction in the interchange of the Yangtze River and Jialing River in Chongqing. 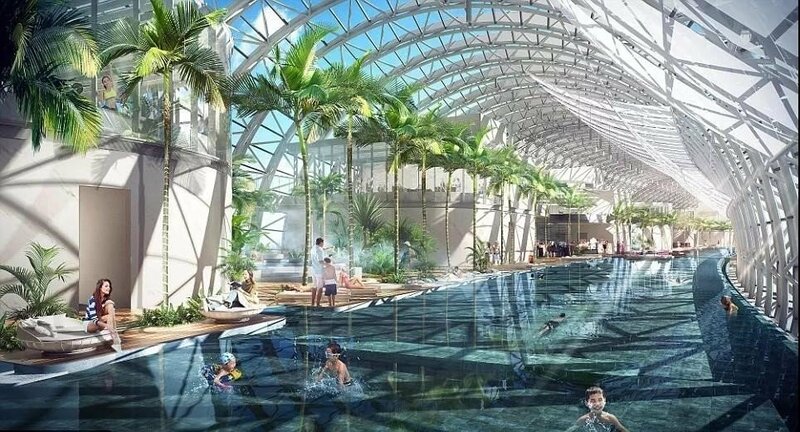 According to the Daily Mail, the Crystal consists of 3,200 pieces of glass and 4,800 aluminum sheets. It weighs 12,000 tons and is equivalent to 1.5 Eiffel Towers or 20 Airbus 380. The corridor is fully equipped with an observation deck, a swimming pool, various restaurants and meeting rooms, etc. 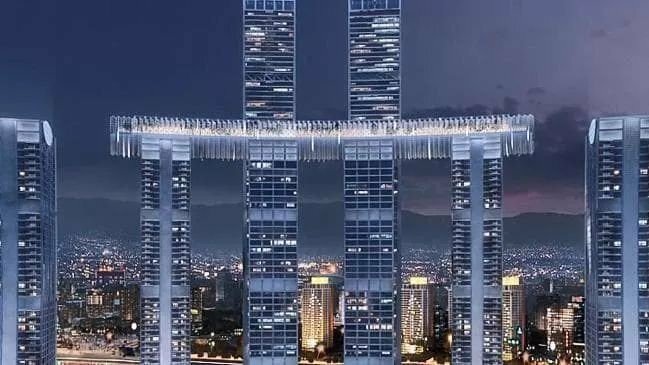 Although the “horizontal skyscraper” has not yet been completed, the foreign media has begun to visualize how beautiful it will be. The variety of “magic” buildings in Chongqing and the rolling terrain features of this mountain city have long amazed foreigners. 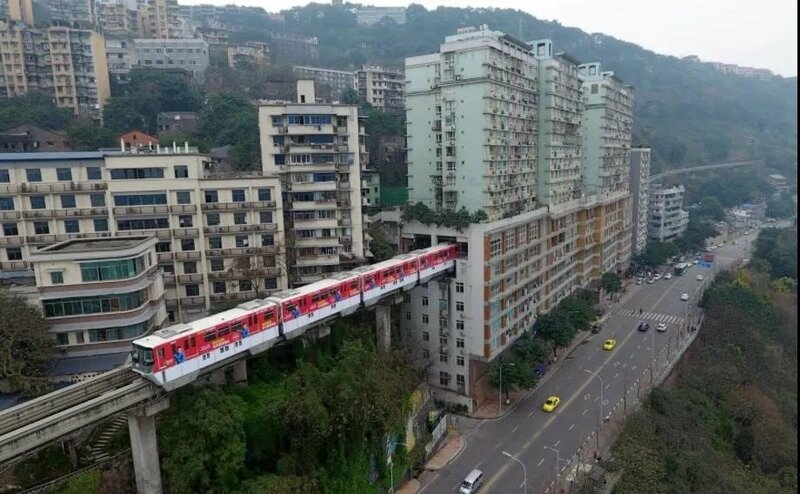 For example, the Liziba Light Rail Station, which passes directly through the building, can be described as one of Chongqing’s first “Internet Celebrity Scenic Spots”. 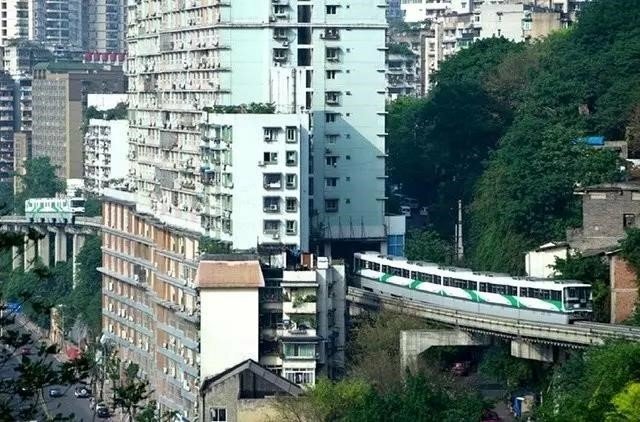 Two years ago, the Line 2 train of the light rail line, which passed through the building on its 6th floor, suddenly became a cult phenomenon on foreign media. Many foreign netizens on social media call it “the most amazing building in the world”. Will it be noisy? With the low noise and low vibration equipment of the light rail and the wheel made of inflatable rubber tire, the whole vehicle body is supported by air spring, and the noise is much lower than the noise average sound level of 75.8 db in urban traffic trunk line. Many foreign netizens expressed their amazement at this. 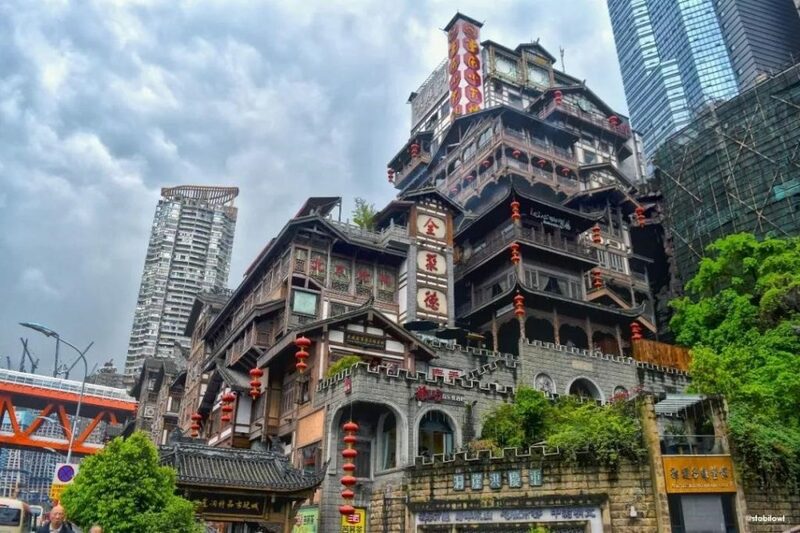 The magic building “Hongyadong” has become one of the must-see tourist attractions in Chongqing. This magical building is similar to the Soup house in Spirited Away. The 11-story Hongyadong is known as “China Cliff City”. 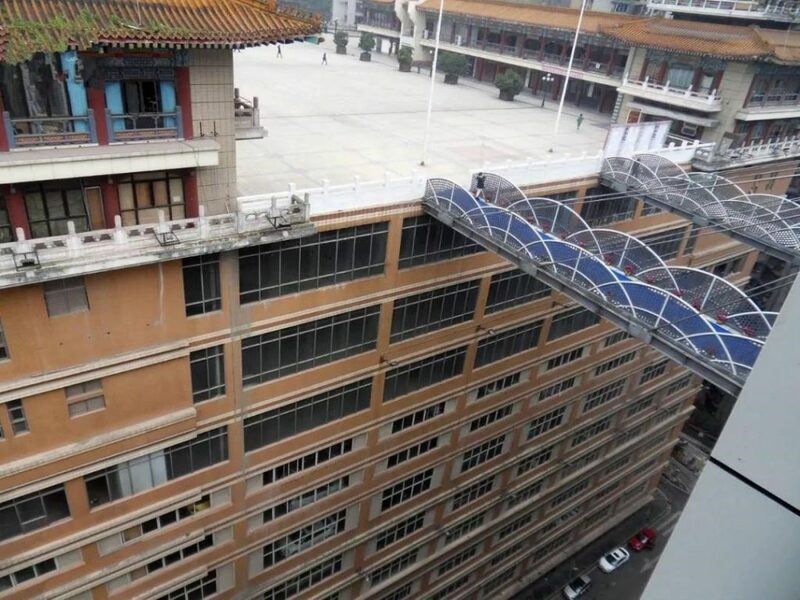 Can you imagine that the gap between the two roads is 10 stories high? 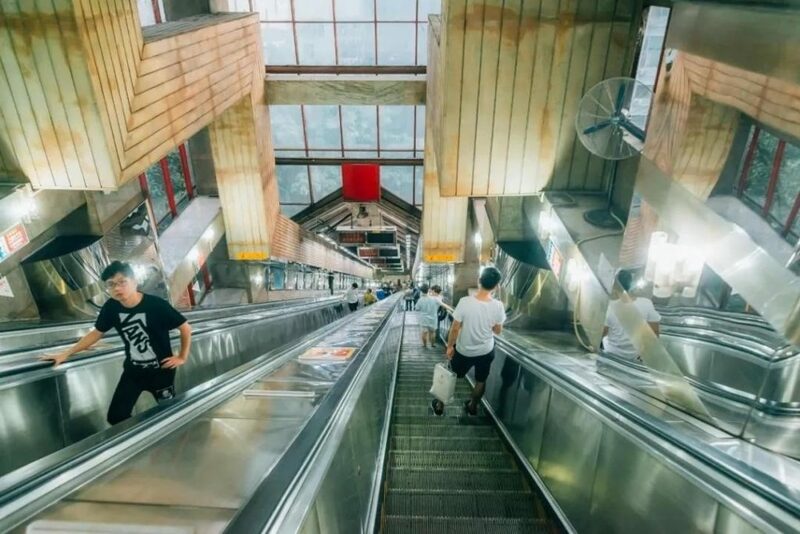 Chongqing people are most proud of the Crown Escalator, the second largest lifting slope in Asia with a total length of 112 meters. 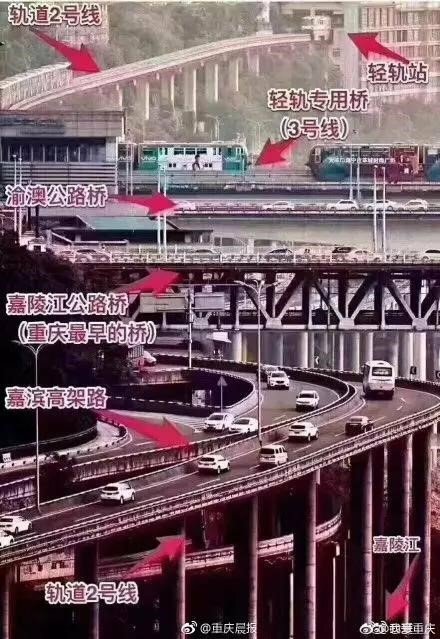 Chongqing’s most complex overpass is Huangjue Bay Overpass. 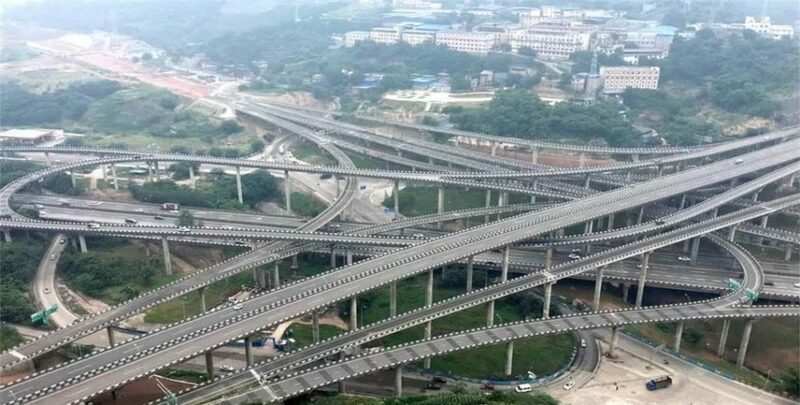 Huangjue Bay Overpass has 5-story structure and 15 ramps, connecting 8 directions. Have you ever seen six light rails within the same frame in 3D space? In this image, the six trains on Track Line 2 and Track Line 3 appear in a picture at the same time, including the Light Rail Station, Rail Bridge, Yu Ao Bridge, Jialing River Bridge and Jiabin Viaduct. 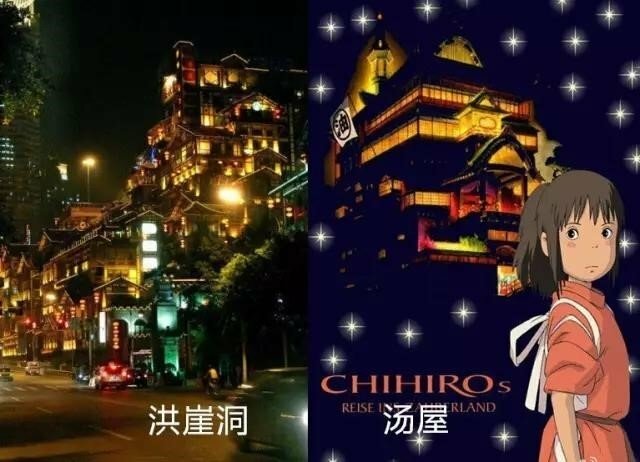 This is a perfect interpretation of the magical 8D Chongqing. Chongqing’s suspended flyover is also a spectacle rarely seen elsewhere. 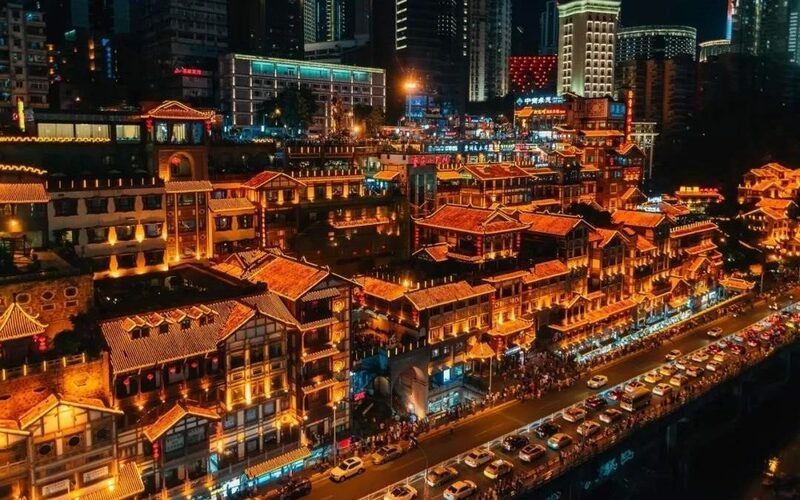 Are you deeply attracted by Chongqing, which is unpredictable and full of surprises? 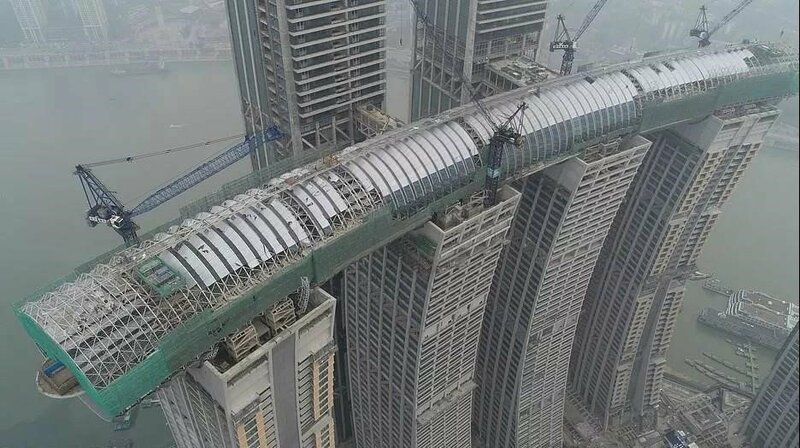 Just like the sky bridge in Chongqing, Aimir CG is also capable of reaching high-quality 3D visualization that overwhelms you with amazement. We keep moving forward, embracing new ideas, leading your architectural blueprint to a new high, because we are here to endure your architectural 3D visualization a soul and life! Feel free to contact us at any time if you need more helpful information for your projects.